Everytime whenever i MIA-ed for a while on my blog , friends will ask me anything happened or busy making babies ah ? Nah…. we are “out” this cycle so have to try again lor. Next cycle , i will try to take it easy…to be honest , people who are trying to conceive or had conceived will know the most stressful and fustrating part is not waiting for ovulation…but the 2 weeks after ovulation date. Because before ovulation , you are doing something in hope of a positive outcome…but after ovulation date, there is a 2 weeks wait (Luteal phase) which is the 2 weeks before your period come. During these 2 weeks , you can only wait and do nothing. Doing nothing and hoping your period don’t come and you still start doing crazy symptoms spotting. To be honest , i thought we could have made it this month because i had no PMS symptoms. I always have breast soreness , pre-menses cramps and migrane 10 days before my period and it will end when period starts. But this time , there was nothing…then who knows the day after i came back from Bintan on 7th July …period come liao. Both of us were disappointed. Super disappointed. I was feeling very stressed and i broke down for a mere 5 minutes. Feeling cranky then suddenly menses came. This time , i tried not to be too stress about everything around me..my work ..people…housework etc. Some friends asked if i had medical checks done. Well , everything checked. All fine and healthy. No abnormalities. Gynae says ovaries, uterus , eggs and everything looks healthy and nice. I think i am abit kiasu..cos i did checks even before we started trying. we are only in our 3rd or 4th cycle try. Usually people only go for checks after 1 year. But because of our age (im 31 and he is 33) , i decided to go for medical check first. After i blogged about the previous post (chemical pregnancy), i received many emails and instagram messages from readers who also experienced the same thing , experiencing the same thing or also at the same stage as me ( trying to conceive ). It is comforting to know that i am not facing these challenges alone and for people who are going through the same thing to give me encouragements and sugggestions. So i want to say THANK YOU for all your kindness and encouragements. It is very sweet of all of you. And i am also blessed to have understanding clients who gave me encouragements and positivity not only at about trying to conceive but also towards my work. Because i do alot of family planning (husband and wives + their kids + their extended family ), the women are all married. So some are going through the same thing or have went through before. It is nice to have people to talk to over a coffee and they are able to relate to your situation. BTW, i just unlocked my instag to public lol. I privated the instag for 2 years already and don’t really accept new followers. I am slightly more active there now. Not sure if you all heard of the Korean skincare method called 7-SKIN. I bet you have heard about triple cleansing (Make up remover -> Oil cleanser -> Foam cleanser ). This 3 steps already took up about 5-10 mins of my bath time. So now…is 7-Skin. I received alot of enquiries on that for the past few months but i kept forgetting to blog about this lol. I heard of it last year in October when i was in Korea for my wedding. The Korean makeup artist told me about it. So i started trying it since then. So what is 7-Skin ? “Skin” is Korea’s name for toners. 7-skin means layering 7 layers of toners before you continue with the other steps. By layering with 7 layers of toners , it is supposed to boost and optimized the hydration level in your skin. Your skin will “drink up” and “absorb” the toners more effectively. It will give you a glowy and hydrated skin look. Well , after cleansing your face , you apply the first layer of toner. Then wait for 3-5 minutes for it to be absorbed before you apply another layer and you repeat this 7 times ! Then after which , you can continue with your usual routine of applying essence , serums , emulsions and moisturizer. To be honest , having 7 toners is very expensive and applying 7 layers is really time consuming. It took me about almost an hour to finish the whole skincare routine from toner to moisturizer when i tried this 7-skin method. So i reduced to 3-Skin instead. I find 3 Skin still acceptable and less time consuming. The effect also there. So what products did i apply ? Because i am applying 3 layers , i chose and start with the more “watery” texture toners first. 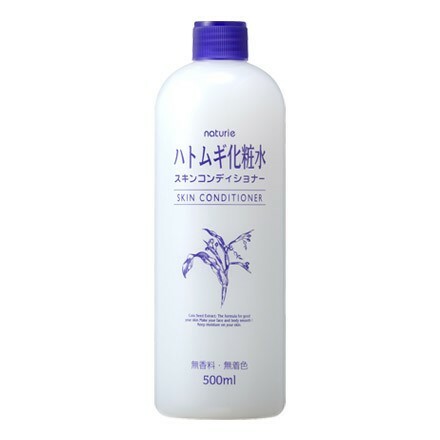 I bought this Hatomugi Skin Conditioner from Taipei. The texture is quite watery and not very thick. It absorbs very easily so i used it as the first layer. This toner is supposed to help with hydration. 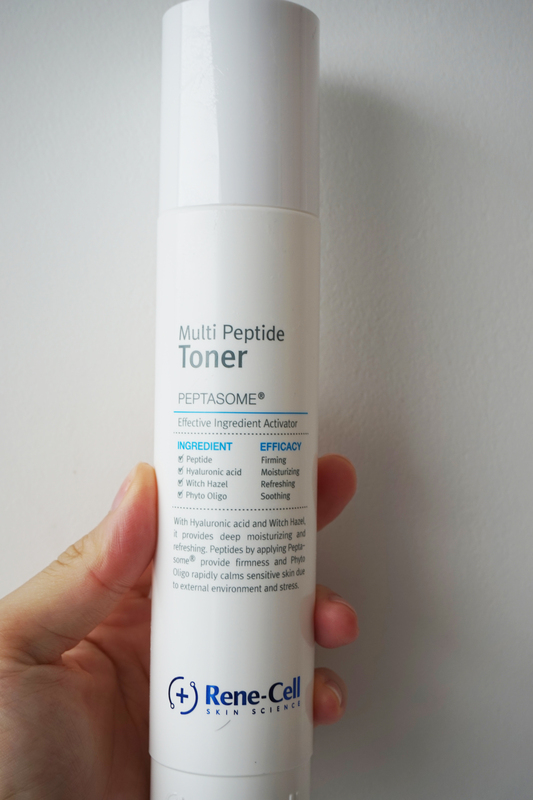 2nd layer is the Rene-cell peptide toner . It supposed to help with firming of skin. This texture is watery and easily absorbed. I reviewed this HERE before. 3rd layer is slightly less “watery” in texture compared to the first 2 layers. 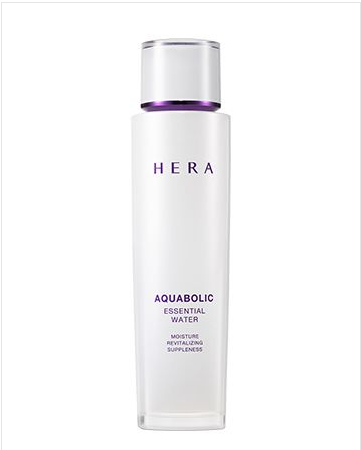 The Aquabolic toner from HERA. Long time readers of mine knows that i am a BIG BIG FAN of HERA. Their products never failed me. Their BB Cushion also the BEST ! Yup , so this is my 3 SKIN method. I reduced from 7 to 3 because 7 is toooo time consuming and i don’t see myself buying 7 toners. I rather use good toners. Some people asked if you can repeat the toners ? As in just 1 toner but apply 7 times ? This also can work and it is just whether you have the patience or not. So very easy , just start with the most light weighted toner first and the more heavy one last. I do this 3-skin step everyday ! Perhaps you can try it too. 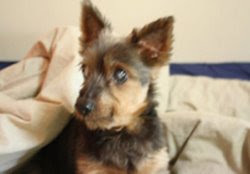 This entry was posted in Uncategorized and tagged 7-Skin Method. hi, tried adding your instag as u mentioned its public now. but ur account Dancingsugar can’t be found. is ur instagram handle still dancingsugar?